Micro-Needling is extremely versatile and can be used on all parts of the body: face, neck, décolletage, arms, hand, legs, abdomen and back. 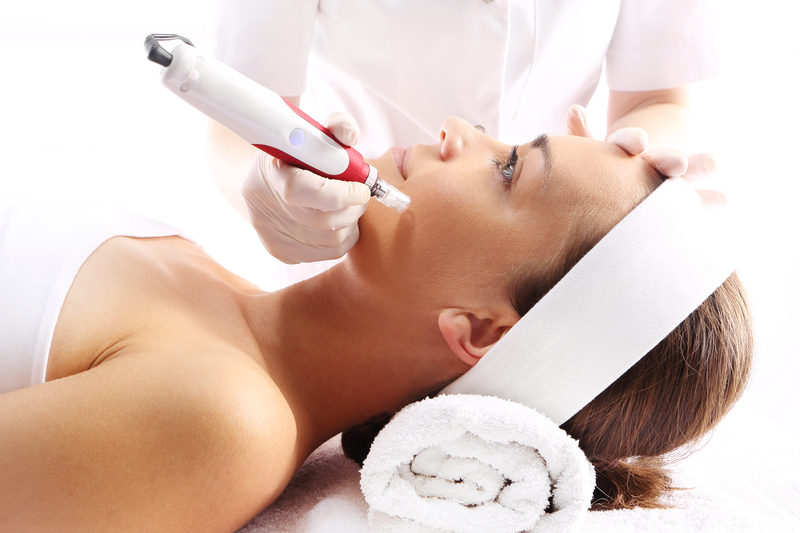 The concept of micro-needling is based upon the skin’s ability to naturally repair itself when injured. Immediately following an injury, our skin begins the process of dissolving tissue damage and replacing it with new cells. Micro-needling allows for controlled induction of the skin’s self-repair process by creating precise, micro-injuries in the skin, which automatically trigger new collagen synthesis without causing scar tissue formation. The micro-injuries also create channels that allow product to penetrate deeper into the skin resulting in better product efficacy. Many people notice healthier looking skin immediately. However, the natural repair process of your own skin continues to progress over the course of several weeks. Keep in mind dermal collagen remodeling takes place over time it is not realistic to expect damage that has occurred over an extensive period of time to disappear immediately. You may not see the final result until up to 3-6 months following your final session. The number of treatments required will be determined during your consultation at DermSpa Dallas based upon your individual treatment goals and the health of your skin. However, it is recommended for most patients to receive a series of 3 treatments spaced about 4 weeks apart. For patients with deep wrinkles, advanced photo-aging, stretch marks or acne scars it is recommended to receive 6-8 sessions at 4-6 week intervals. We also recommend developing a maintenance plan with your skincare professional to help maintain the glow and rejuvenating effects of your personalized Micro-Needling treatments.